Nowadays computers and Internet connectivity have opened the office door to thousands of boaters. Here the Doyles share their own experiences on how to set up an efficient onboard office. Some assembly required. 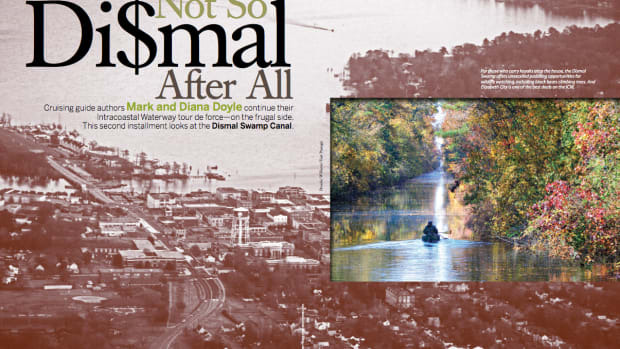 The Dismal Swamp Canal: Frugal’s fine, but “free” is our favorite four-letter word. This month let’s cruise the Dismal Swamp Canal, along what easily can be a free-dock-every-night route from Norfolk to Albemarle Sound.